Posted on December 14, 2017, in Card Samples, Challenge Entries, Debbie's Challenge Entries, Oscar's (Deb's) Card Samples and tagged Carta Bella, Simon Says Stamp, Stampin Up. Bookmark the permalink. 8 Comments. So cute with the sweater look and those darling cups. I love the sentiment too. That embossing looks so pretty. Now my wish list is a little bit longer. Awww, so cute and adorable, love the sweater background! Love this! Great design and love those cups!! eep. So cute, love those cups teamed up with that awesome embossing folder! Pingback: 2017 Winter Coffee Lovers Blog Hop Wrap Up + Winners! 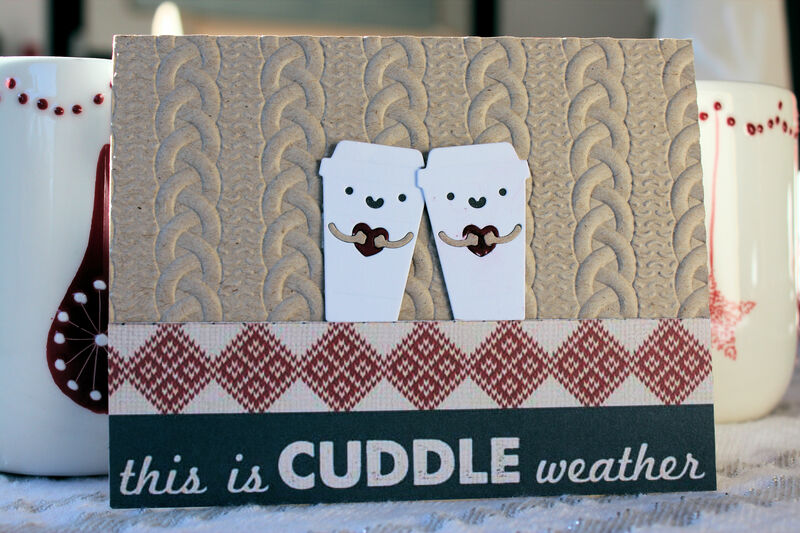 | Coffee Loving Cardmakers!